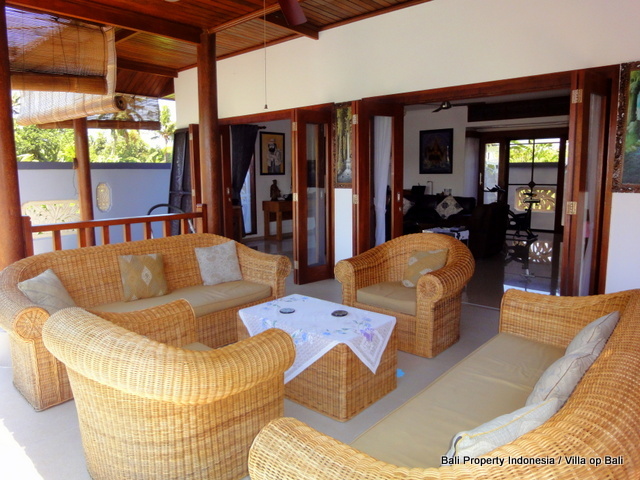 We can offer you this villa for sale with a exceptional long Leasehold period or if you wish with a Freehold title. 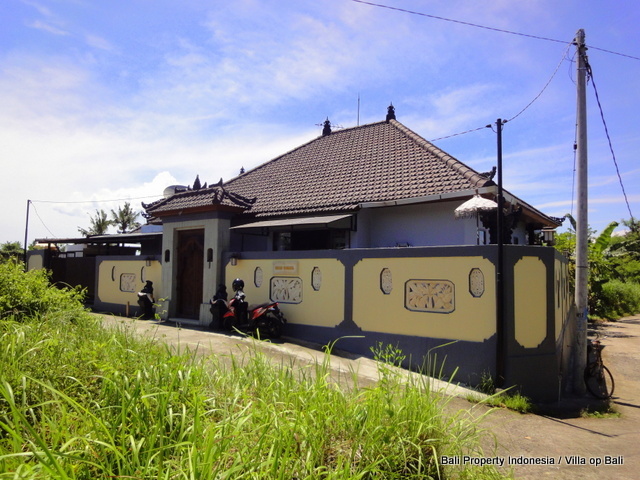 Price: 185.000 Euro Leasehold (30 years) / Freehold. 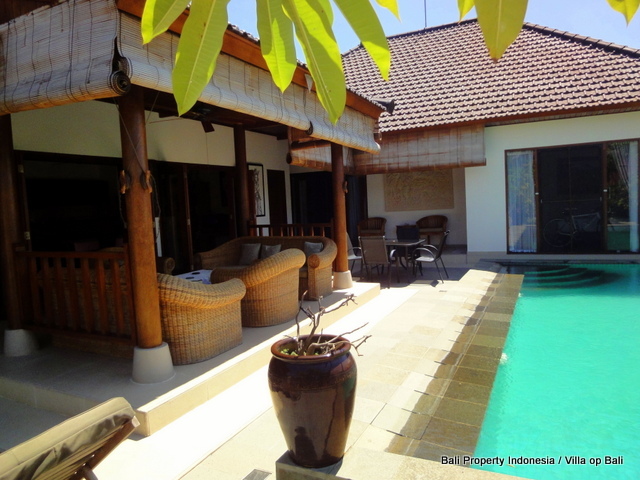 We can offer you this villa for sale with a exceptional long Leasehold period or if you wish with a Freehold title. 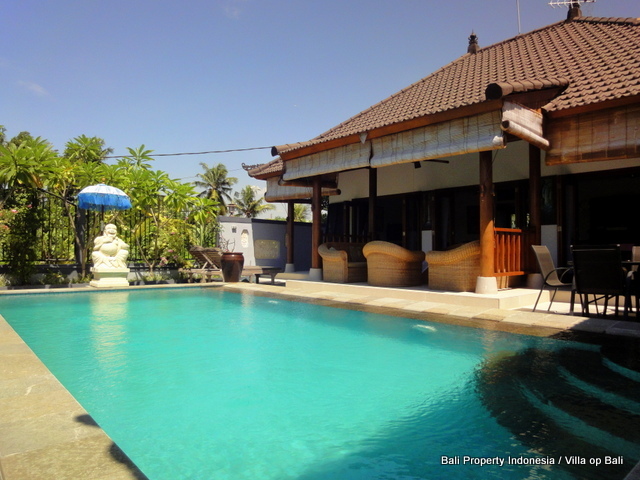 The owner is married to a Balinese and they are willing to change the title to your choice. These days a long leasehold for a foreigner is better comparing with a Freehold title. 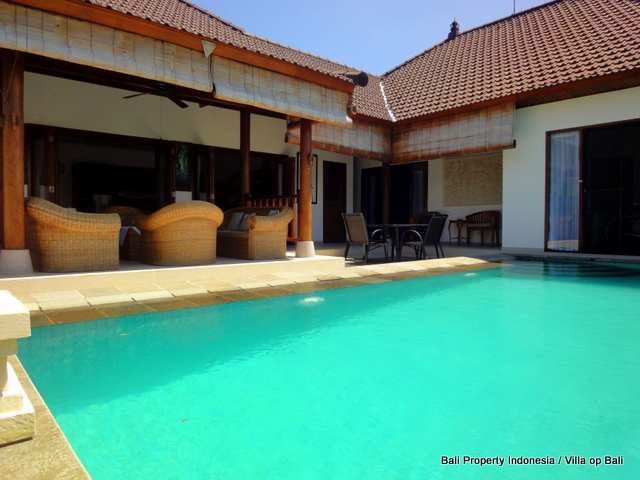 Bali like Bali should be, that is the slogan that suits this villa the best. 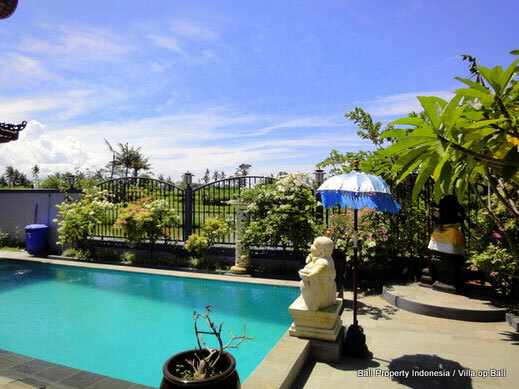 Just at a 15 minute drive from Sanur you will find this two bedroom en-suited villa, build in Balinese style in a very peaceful rural surroundings. 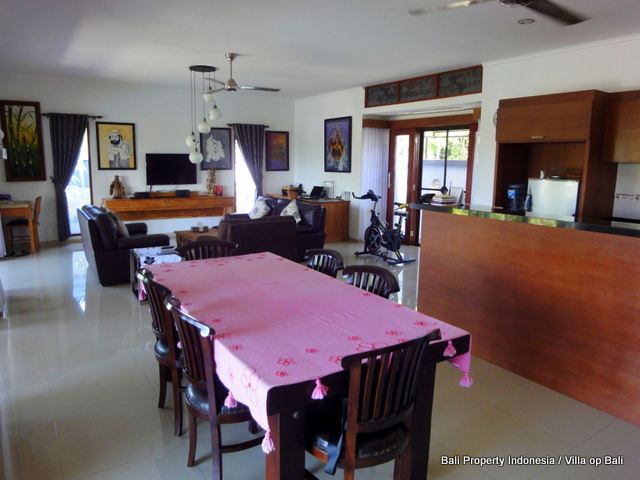 This villa combines all you are looking for…. 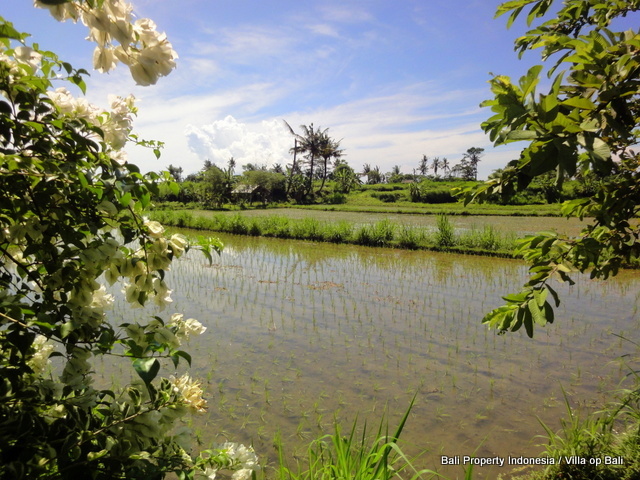 A quiet, peaceful surrounding in the nature of Bali, not far from Sanur and Ubud, quality and most of all with a very friendly price tag. 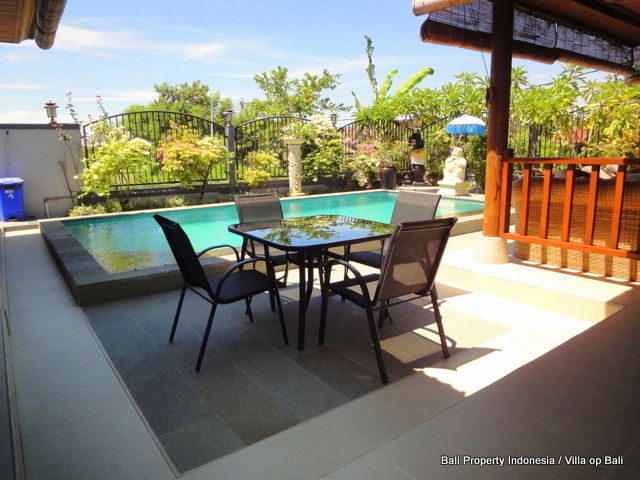 Bali is getting more and more crowded, some prefer a villa in the surrounding of shops, supermarkets and restaurant although the majority is seeking for a property in more quiet and peaceful surrounding for Bali is famous for. 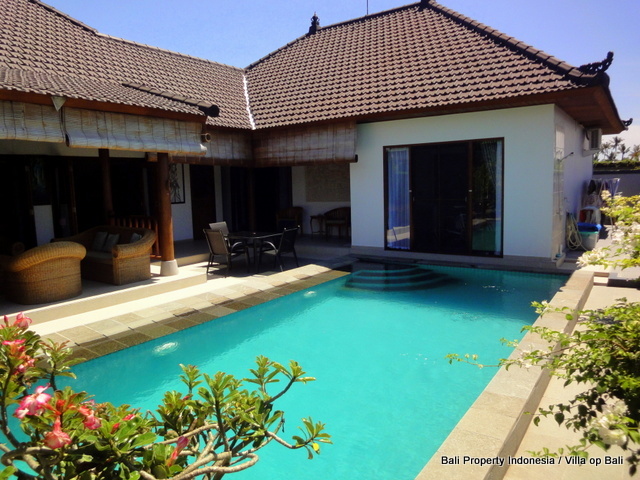 The constructor/owner has used all his experience over the last 15 years building villas in Bali to build this villa. 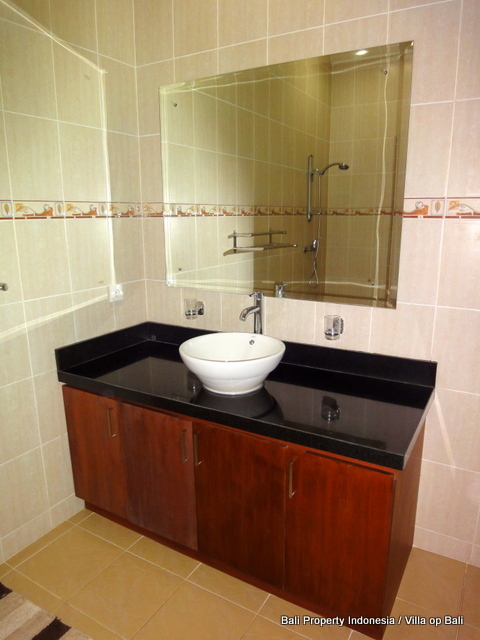 Quality is not only guaranteed at the construction but also on the materials been used to build this villa. 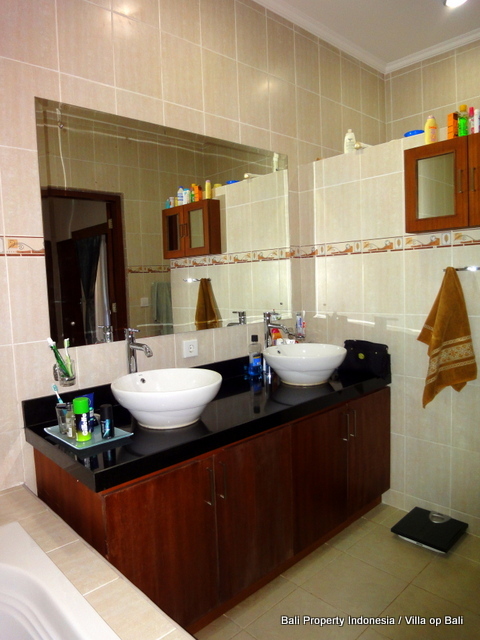 Even practical matters like parking, storage and security is been taken care off. 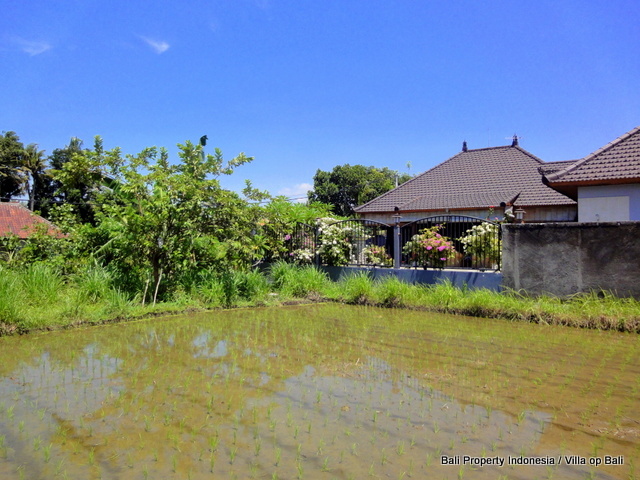 The villa is situated in the rice field of Saba and the style is Balinese. 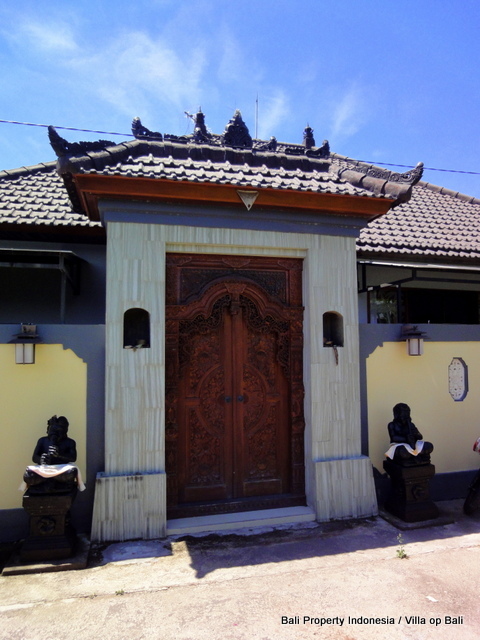 Two ways of enter the villa, one is through the beautiful Balinese main entrance or the other way, the more common way, is entering through the gate where you will find the covered parking place to park a car, several motors and some storage for big materials. 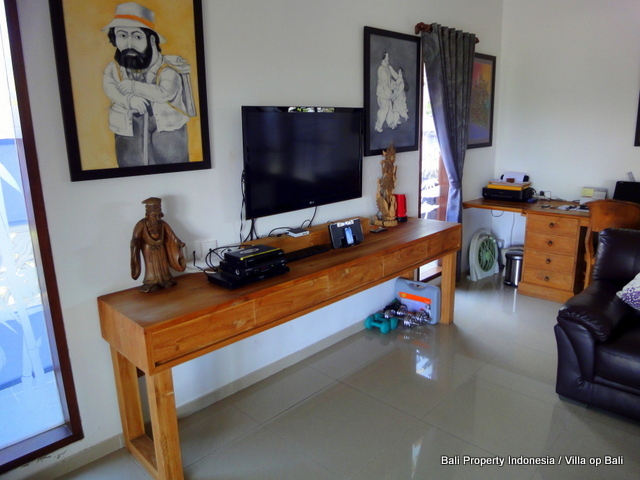 A special room is provided with a generator to produce power when the electricity is down from the local grid. 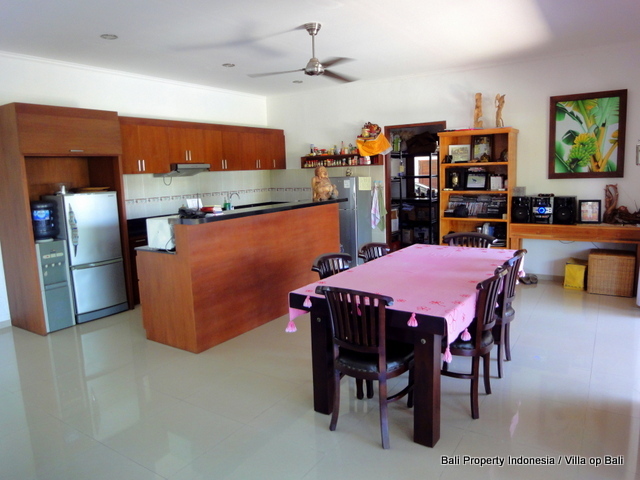 Coming from the parking place entering the house, you walk through the storage straight into the indoor living room with adjacent western equipped kitchen. 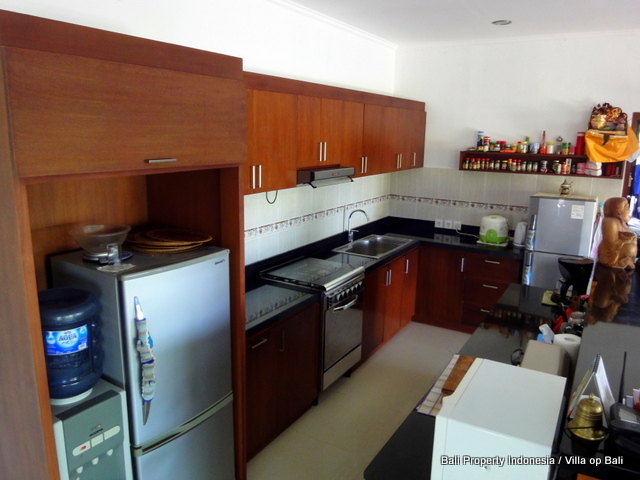 The indoor living is kept spacious and close-able with quality sliding doors. 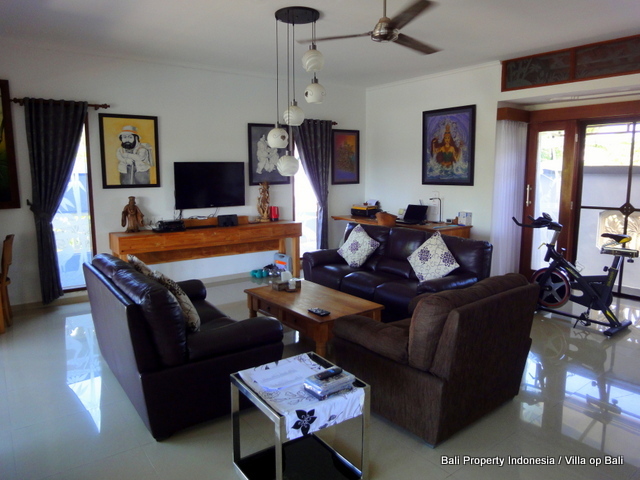 Two ceiling fans are installed to provide you with some refreshing wind, however due to the location of the villa rather close to the sea, there is always a breeze coming out of the east straight into the living. 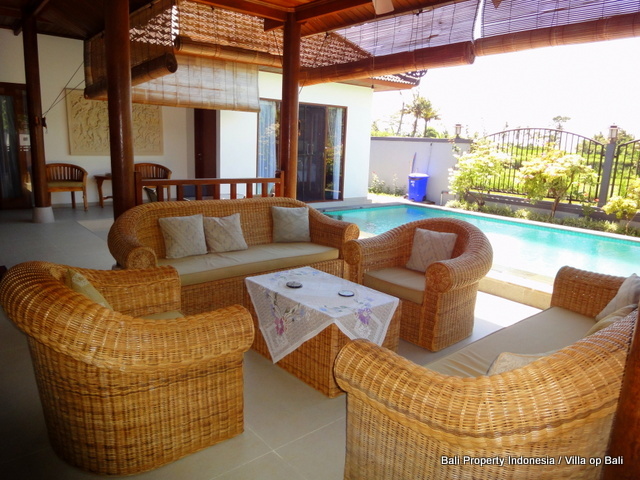 The most central spot of the villa is off course the covered veranda, here are some comfortable arm chairs looking out over the swimming pool but most of all over the rice field immediately in front of the villa. 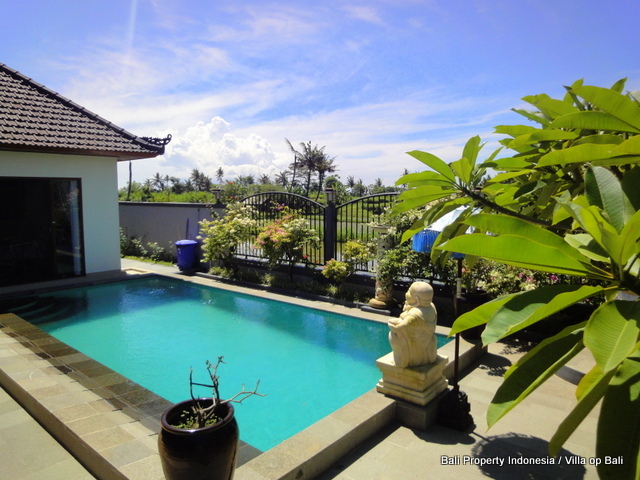 This is the genuine Bali, you will experience it when you visit this villa. 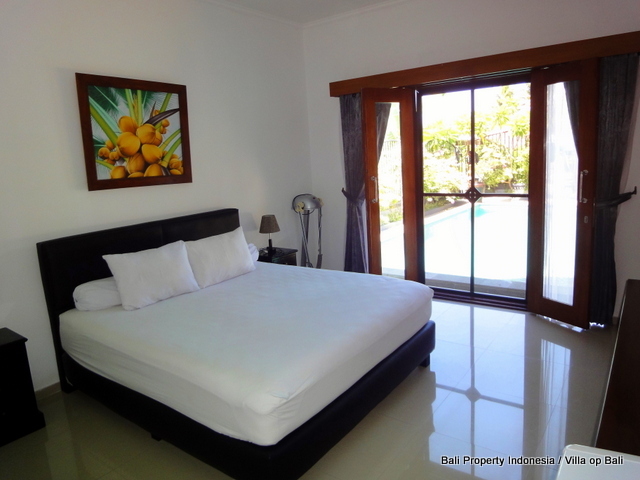 The villa offers you two bedrooms en-suited and the master bedroom is off course bigger than the bedroom for guests. 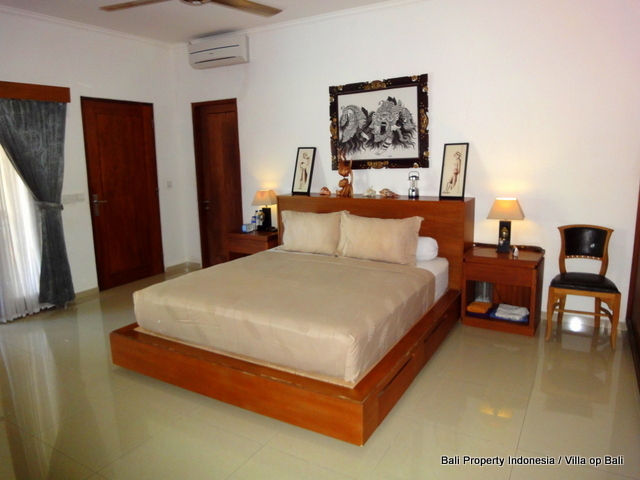 The master bedroom is also provided with a very huge wardrobe, sufficient for all your clothes and more. 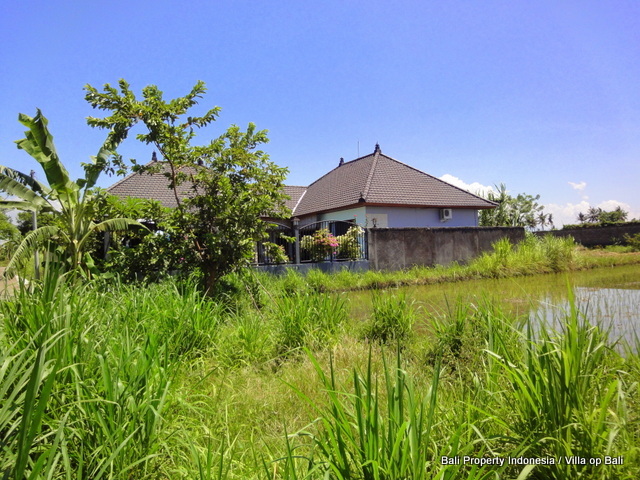 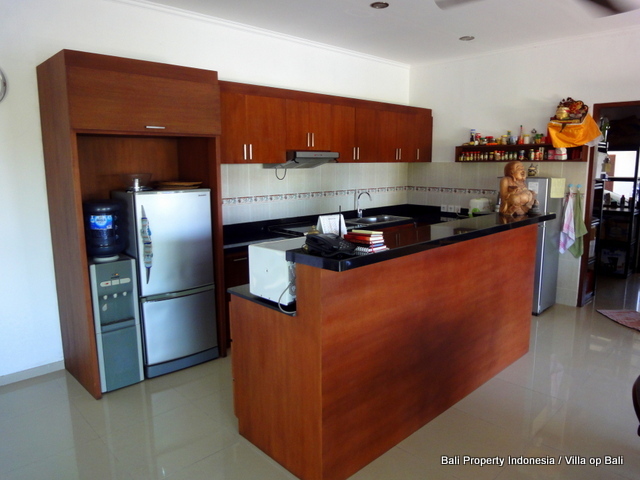 If you are seeking for a nice, cozy, quality villa in the rural surroundings of Bali. 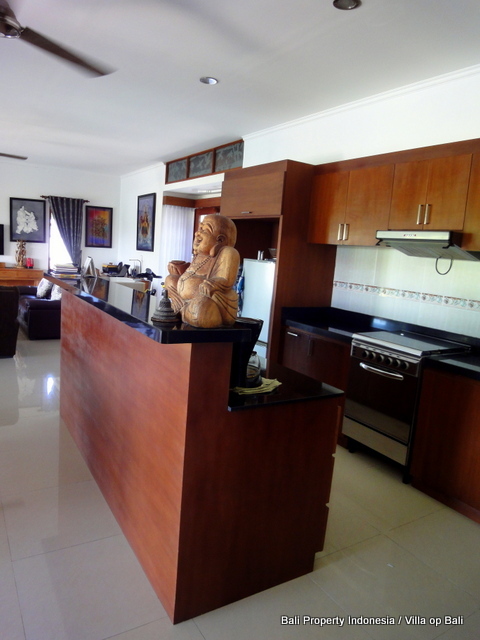 A villa build with passion with a capital Q of quality…… and on top of that with a very, very friendly price tag.